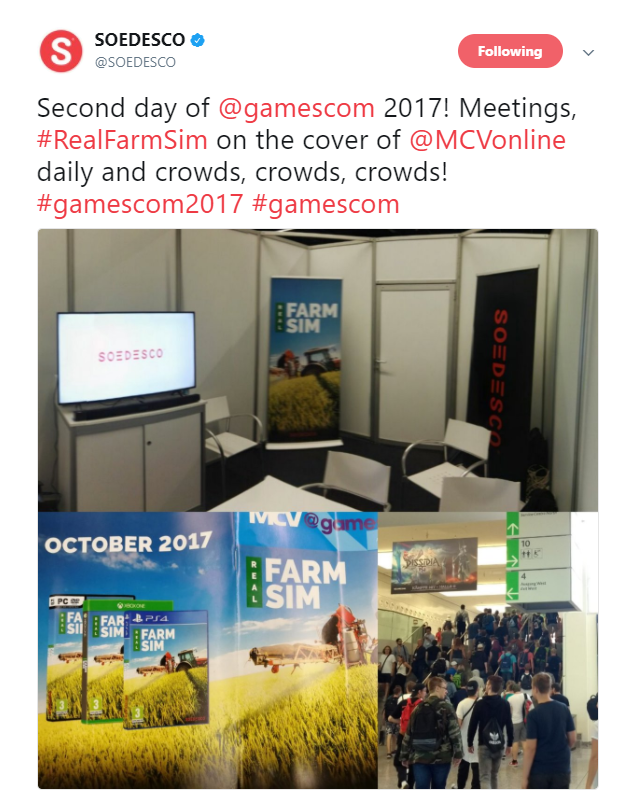 However, a closer look at the picture of the MCV magazine that features Real Farm Sim on the cover shows that the back cover holds some new information – it appears to reveal that Real Farm Sim will be released in October 2017. This is information that had previously not been shared by SOEDESCO, and it seems that the intent to reveal the release window was clear. When asked on Twitter to confirm whether this meant the game would indeed be released in October, the SOEDESCO Twitter account simply responded with “;)”. This appears to solidify the intent to tease the release window without a direct announcement. October may be a clever choice of release window for the game for several reasons. There is the obvious lead-up to Black Friday and the Christmas season, when many games are purchased as gifts. In addition to this, Farming Simulator has indicated that its next DLC (and likely the largest DLC installment the game will see) the “Platinum DLC” will be released for PC, PS4 and Xbox One on November 14. 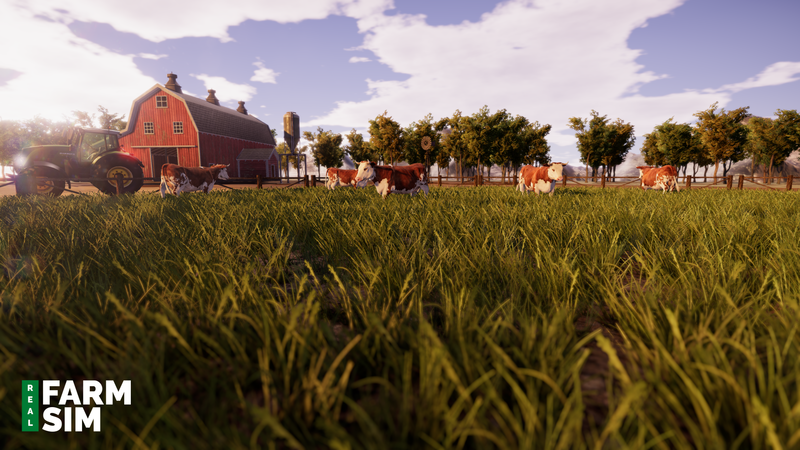 SOEDESCO may be aiming to get its game out well in advance of the Farming Simulator DLC release in order to entice players away from it, or to avoid a more clear and direct competition with the simulation giant. I’ve already written at length about what Real Farm Sim will need to deliver in order to offer substantive competition for the Farming Simulator series. There is bound to be additional information on the game coming out of Gamescom and leading up to release in October, so stay tuned for more! Personally, I’m looking forward to a gameplay reveal to finally get a sense of how the game will play and what it looks like in action, as that will present an excellent opportunity to draw some comparisons to Farming Simulator and get a sense of where Real Farm Sim stands – will it be outstanding in its field, or left out standing in its field?